Hailing from Mexico, Cast instantly grabs your attention with a giant classic prog sound bolstered by surreal keys, giant vocals, intense bass, and skilled guitar. They love long songs and concept albums. Their sound is big and vibrant; even colorful. 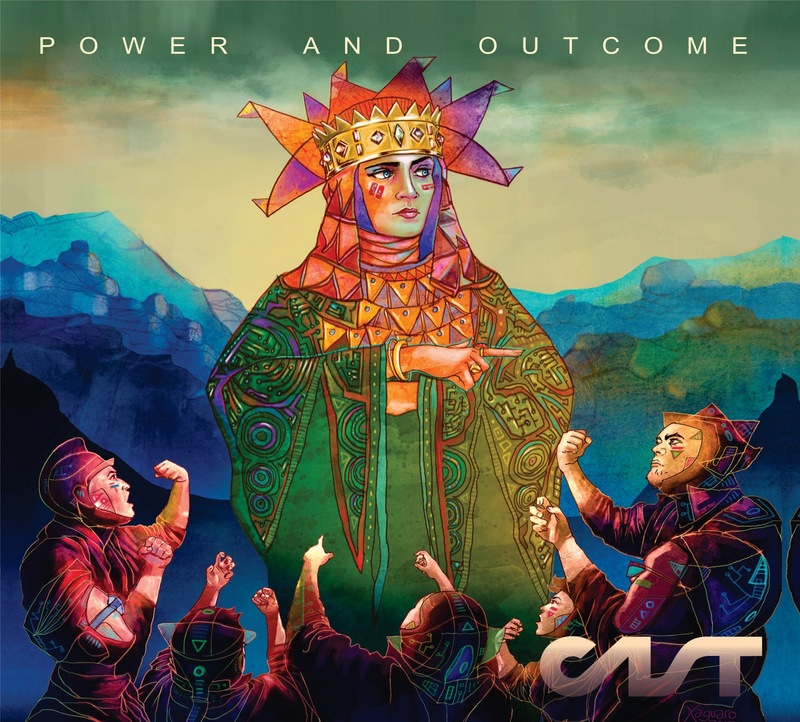 “Power and Outcome” is a concept album of sorts. The lyrics, however, are honestly not a major part of the music, as most of the album’s playtime is instrumental. This record shows that there are few musician ensembles as tight, skilled, or unique as the one here in Cast. This skill shows from the very first track on the album. “Rules of the Desert” is an 11+ minute instrumental epic that absolutely blows my mind. The band has returned with a much darker, less celestial sound. It’s almost overwhelming at first, putting your heart into your throat. This first track is especially fierce and driving, containing greyish shades and more intensity than I’ve heard on some of the previous releases of the band. It begins with delicate piano and beauteous effects, but transitions into a dark, jazzy retro vibe. Other tracks, like the title song, feature the same vibe, only the sound is more surreal and even haunting, using violin almost like a distorted guitar. “Through a Stained Glass” and “Illusions and Tribulations”, for example, are more vocally driven and closer to classics such Camel and Yes, but there ever remains a certain dystopian color that stains their atmosphere, not to mention larger than life keys. “The Gathering” might be my favorite track, though, with its wonderful vocals and its genuinely interesting instrumentals. “Power and Outcome” is a thoughtful, fierce experience from Cast. This is an album that strikes me as inspired from beginning to end, through all the machinations, excellent vocal lines, and flowing emotions. This is true progression from an under-appreciated band that is close to my heart. Make sure you get the chance to hear it. Absolutely outstanding music from a venerable, seasoned band, that somehow has flown under the radar in some progressive circles. Great review!